If you need some new Husker gear, this NEW CONTEST is for you! Predict the score of each game this season and we will pick a winner after EACH game to win a gift card to Husker Headquarters for the closest guess! At the end of season, there will be one grand prize winner as well. 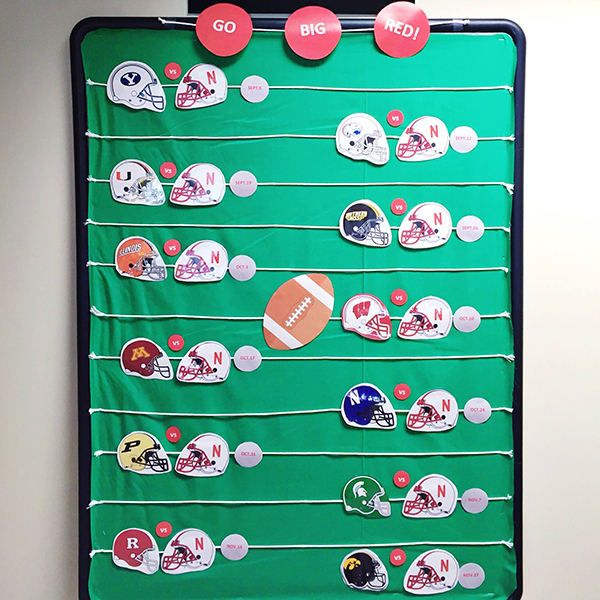 Fill out your predictions in the office soon and GO BIG RED!